After four years as Melvin Upton Jr., B.J. Upton is back to being B.J. Celebrities change their names all the time. Miley Cyrus' given name is actually Destiny, Jon Stewart used to be Jon Leibowitz and P. Diddy has gone by like 85 different things throughout his music career. And like any other group of notable people, baseball players have been known to switch up their names as well. 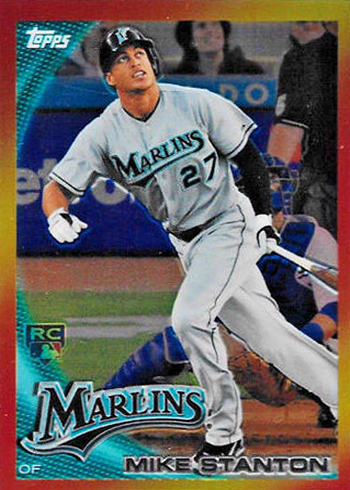 Remember when Giancarlo Stanton was just "Mike?" When veteran outfielder B.J. Upton decided to start going by his given name Melvin Upton Jr. back in 2015, it marked a sad end to one of our sport's great nicknames. Upton's father, also named Melvin, was more commonly known to his friends as "Bossman," and so the younger Melvin became known as "Bossman Junior," which eventually got shortened to B.J. After spending four years as Melvin, Upton went on MLB Network on Tuesday to make a shocking announcement: He's going back to B.J.! According to Upton, the shift back to the Bossman lifestyle was inspired by his wife. "My wife said that Melvin doesn't sound right on TV, and she wants me to go back to B.J.," he said, "And everyone knows, happy wife, happy life." While it's heartwarming to see the artist formerly known as Melvin Upton Jr. re-embracing his iconic moniker from earlier in his career, he could always eventually switch things back to Melvin. He's done it once, who's to say he won't do it again?